Working in the security industry, we know that there are a huge number of regulations, standards and laws that we must abide by. Whether those are the British Standards that make us leaders in remote monitoring or government legislation surrounding the use of CCTV that ensure privacy and security are maintained – we know that we must comply with a whole host of different rules. Recently we’ve seen a lot of press about ‘personal CCTV’ (also known as sousveillance) and along with it, a lot of questions surrounding its legality and the infringement on privacy that it may cause. As security experts we thought we would take a look into it and the legislation surrounding it. There are a couple of obvious examples of personal CCTV that most will have already heard about: body worn CCTV for the police and ‘dash cams’ used to document road accidents for insurance purposes. Of course, we can even categorise residential CCTV for individual properties as ‘personal CCTV’. But there are a huge amount of lesser-known uses of personal CCTV – or surveillance similar to it. For example, did you know Google Glass could be considered as personal CCTV? And that more and more NHS workers are making use of body worn cameras for lone worker protection and as a defense against NHS staff abuse? In this blog, I’m going to take a look at the different uses for personal CCTV – with a look at privacy concerns and the legislation it should always follow. Dash cams and helmet cameras: What are they and are they legal in the UK? If you watch any compilations videos on YouTube, you’ve most likely seen examples of dash cams and helmet cameras in action. A dash cam is simply a camera fixed to the dashboard of a car, which is used to record road incidents for insurance purposes and to prove who is at fault. The cameras are popular in Eastern European countries, with many examples being published on YouTube such as this video on the channel Car Crash Compilations. Helmet cameras are somewhat similar to dash cams, but they are more popular in the UK – particularly amongst commuters in London. Helmet cameras are worn on the helmets of cyclists and are used to document their journey, often including dangerous driving and the absent-mindedness of pedestrians. In fact, as a cyclist myself, I’ve documented a fair few journeys on my YouTube channel, the Perils of Commuting. Motorcyclists can also use helmet cameras, in a very similar way to dash cams. But what are the legal implications for using dash cams and helmet cameras? If we use CCTV for private property we are legally obliged to highlight that CCTV is being used. All of the sites that we monitor, as they are private property, are required by law to install a sign announcing the use of CCTV. However, when surveillance cameras are used in public, the rules are different – there’s no need to have a sign on your car saying “CCTV in use”. Whilst you drive along a motorway or use a cycle lane, you are in a public space thus making the use of personal CCTV legal – and often an invaluable tool in fighting against ‘cash for crash’ insurance claims. The Independent reported that only 3% of motorists currently use a dash cam in UK – but would you consider installing one? Google Glass: Is it legal to wear them in the UK? In June 2014, online tech website – Mashable – reported that Google Glass was coming to the UK. Since the announcement I can safely say I haven’t seen a single person wearing Google Glass but I have read a lot about the privacy concerns surrounding its use. This statement highlights the prolific use of CCTV in public spaces in the UK, but it fails to acknowledge that Google Glass will challenge individual privacy concerns along with laws surrounding their use in private spaces. The Independent put together a list of places where Google Glass will not be allowed. It’s obvious that there are concerns over the privacy infringements when using Google Glass – but there are further, and serious, concerns about how safe it is. Will drivers be distracted when wearing the gadget glasses? The same goes for cyclists too. When wearing Google Glass, most video captured will be processed through the cloud. How will this data be protected? – An especially important question in the light of recent hacking on the iCloud system. 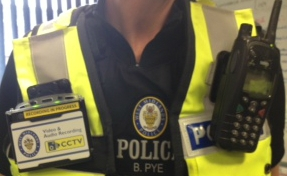 Body-worn CCTV: Who will be using it? Body-worn CCTV is a growing trend amongst armed forces, police forces and NHS staff in the UK – and yet again this use of personal CCTV brings up several questions about privacy and the legality of their use. The big point that a lot of people emphasise is that body-worn CCTV should only be used if there is a serious and pressing need to capture images of individuals. And in many cases, it’s easy to see how that statement is applicable to the UK’s emergency services. However, there are concerns over the use of body worn cameras by NHS staff – ultimately they may record vulnerable individuals, which is opposed by many. On the other hand, the cameras will document incidents that come under scrutiny or cases of abuse towards NHS staff. For police using the technology, the case is somewhat different. With disputes over guilt between police officers and the public having recently been publicised a lot, perhaps body-worn CCTV would eliminate any questions over blame? Clearly we can see that personal CCTV is on the rise – in many different shapes and forms, with many different purposes. There are even examples of CCTV being used within homes – with one example that I’ve heard of being a son using a camera (which is linked to his mobile phone) to let him check on the wellbeing of his elderly mother living with him. Personal CCTV is going to be a growing trend, in my opinion. Although it has a lot of positives for individual’s safety and security, just like private CCTV does, we need to be cautious about working towards establishing a clearer set of boundaries. I for one will continue to use a helmet camera – but I think the above examples show how the boundaries can be difficult to draw. Would you ever consider using personal CCTV? And what are your views on the potential privacy infringements? Please let me know your thoughts by writing a comment below.